How many Stonehenges in Boston? 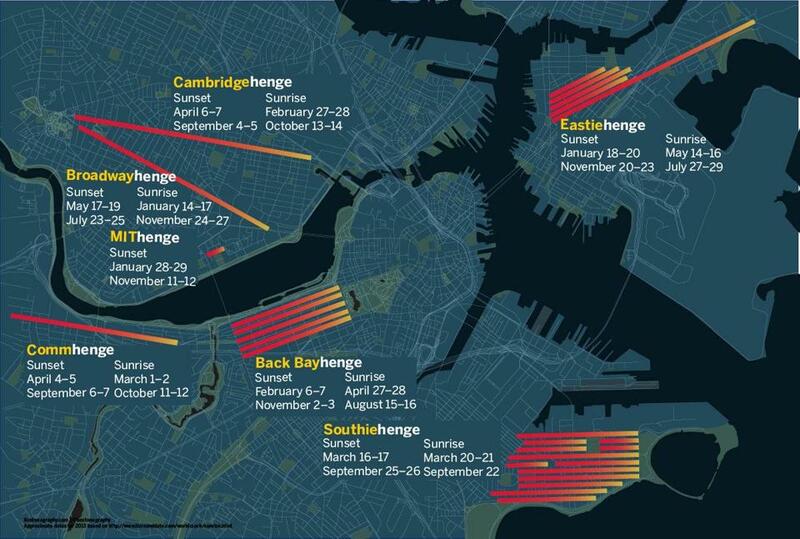 Here’s a really cool idea: there are certain days of the year when the sun sets at an exact point such that it aligns with some of the long avenues or whole chunks of gridded streets in Boston. This is a natural fact, based on the fact that the point on the horizon where the sun disappears marches with regularity from what appears to be the southwest to the northwest as the days lengthen from the winter solstice, on ~Dec. 21, until the summer solstice ~June 21. At that point, the process goes into reverse as the days shorten again. This insight is not new. In fact, it was the basis for many ancient time-keeping schemes, notably Stonehenge in England, where the massive stones are aligned to measure the return of the sun to particular spots in the sky at regular intervals. According to this sunset calculator, the sun should be setting on April 4 at 7:14 p.m. Since it’s a Thursday, I will be in class until 5 p.m., then back in my office, which is actually on Comm Ave. So, to be on the safe side, I plan to step out onto the avenue around 7:00. I plan to turn left and start shooting photos. 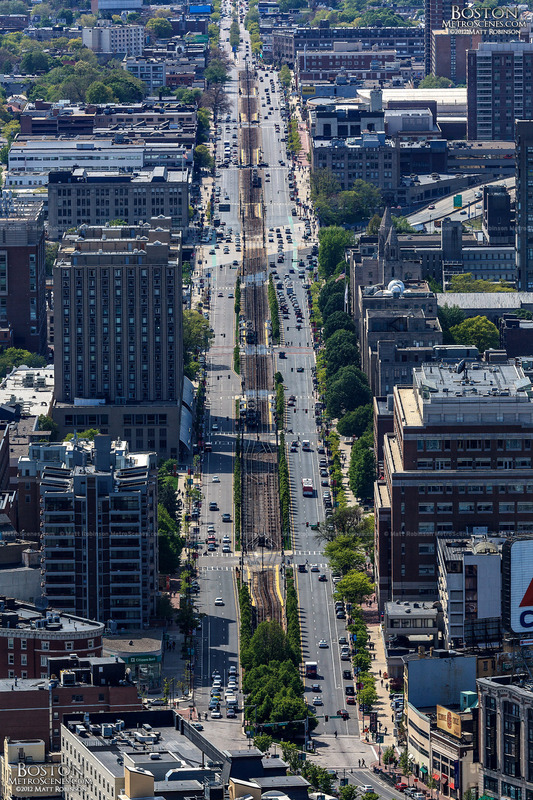 If I make it to the high point where Comm Ave crosses over the Mass Pike in time, I should have a great vantage point, about a mile east and west. See you there. I’m just hoping it’s not raining.